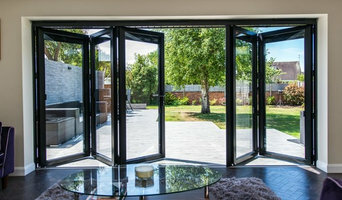 BREATHE NEW LIFE, SECURITY AND VALUE INTO YOUR OLD ALUMINIUM SLIDING DOORS, BALUSTRADES, WINDOWS AND SCREENS BY REPAINTING AND REFURBISHING YOUR FRAMES TODAY Specialising in renovating aluminium and metal surfaces, Totally Transformed can update your property for 30 – 40% off the cost of traditional processes. Plus, Mark’s application of the unique protective coating process occurs on site, meaning less cost and disruption to you and your project. This means you can add significant value to your construction project at minimal cost and time, making Totally Transformed the renovator's greatest asset. Acting as a one-stop shop for metal restoration, specifically windows, screens, doors, balustrades, handrails and fencing, our process includes refurbishment of handles, locks, felts, seals and rollers. Your windows, screens and doors won't only look like new, they will operate like new as well! With our unique protective coating process, Totally Transformed can transform your dull, faded or outdated metal surfaces into the same finish as a perfectly polished car. Because we are thorough and professional in our application process, we can offer a 7-year guarantee on our paint finishes, which is unheard of by our competitors. BENEFITS OF ALUMINIUM RESTORATION VS TRADITIONAL REPLACEMENT - Fraction of the cost of new (Save $$$) whilst significantly improving your property’s value and visual appeal - Modern colour choices with a professional and brilliant finish, adding years of life to your windows, screens, balustrades and doors - Limits potential damage to interior and exterior finishes from window/ door removal and therefore the costs of repainting and repair to these areas - Works like new with new rol l e r s , f e l t s, handles and locks installed where required - Interior or e x t e r i o r recolouring only is an option - allowing choice to those in body corporates who don’t want building colours determining your decor. With over 30 years experience in the protective coatings industry to assist and advise you with your renovation, there is no need to struggle with that ugly, hard to open window, screen or sliding door again! Contact Totally Transformed today to: start saving money, improve your property’s appeal whilst also maintaining your property and its value! 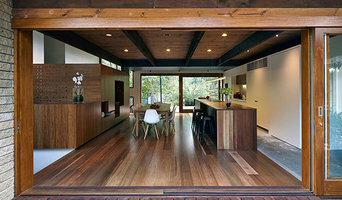 Whittle Wax will revolutionise the finishing of wooden surfaces in Australia and become the leading supplier of natural timber finishes in this continent. Whittle Wax can do this by providing quality, natural finishes for timbers that enhance the grain of the wood while at the same time endowing it with long lasting durability. Whittle Wax products are ecologically sound; ensuring the health and safety of humans, while helping to protect and sustain the environment. Whittle Wax will provide a reliable source of these finishes backed by readily accessible and friendly professional advice. We have more than 25 years trade experience. We are professionals who use a blend of the old and the new to give our clients the best result possible. If you are after a high quality result then look no further. 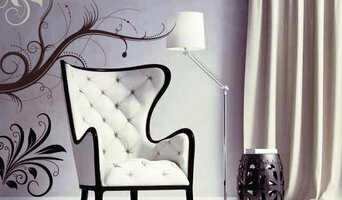 Custom Residential & Commercial Interior Wall Decoration including Wallpaper, Mural, Decals, Canvas & Posters. Adhesive, Removable & Reusable Wallpaper and Decals. Custom design, Personalise or choose from our galleries. Steve Brady Painting has been servicing Maroochydore and the Sunshine Coast area for over 10 years. 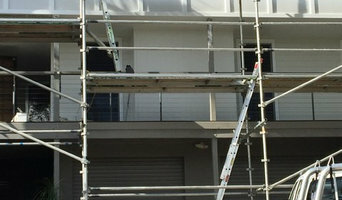 If you are looking for a painter in Maroochydore or anywhere on the Sunshine Coast, whether it be for commercial, industrial or domestic needs, you can find everything right here at Steve Brady Painting. We have been painting for over 30 years and moved our business to the Sunshine Coast in 2004. Most of our work comes from word of mouth with a long list of satisfied clients who attest to our superior tradesmanship, attention to detail, quality products, clear communication, honesty and integrity. Our goal is not only to help you design and realise your project but to make the process easy and enjoyable for you. Let’s discuss your ideas. FC Pro Painting is a locally owned and operated business that provides superior quality painting services to clients across Mooloolaba and Sunshine Coast Area. We specialise in residential and commercial renovation, decorating work on new homes, and projects in heritage buildings. With over 15 years of experience in the painting and decorating industry, we are a growing, innovative business, with a reputation for providing exceptional results and the highest standard. No job is too big or too small! Dezigner Finishes uses premium products to complete all of your New Work, Repaints or Renovations. We specialise in Quality Roof Restoration which provides a Dulux backed 10 year Guarantee, we can also revive all Timber doors, windows, decking, louvers, garage doors etc. We will turn up on time and leave the job clean and tidy upon completion. Please feel free to explore our website, take a look at our services and photo gallery of our work or phone and speak to Mark to make an appointment for your free quote. 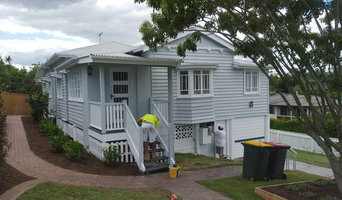 Lamb Painting & Decorating is a locally owned fully accredited, qualified & insured Sunshine Coast & South East Queensland painting and decorating business. We strive for cheap and affordable yet high-quality work. Our business has worked with top award-winning “House of the Year” businesses. Because we work on such prestigious homes we know the latest trends in housing and decorating and can help you find the most stylish cutting edge colour scheme that will be a timeless style to ensure your house or business never looks out of trend. WE DON'T JUST PAINT HOUSES, WE CREATE EXPERIENCES! Established in 1875, Althouse and Geiger is the oldest painting, decorating and signwriting business in Australia. Being a leader within the Painting Industry they were founding members of the Master Painters Association in 1901 and are still very active in the MPA. Our staff retain that "old world charm" which gives our clients "great satisfaction" How many businesses can say they are into their "second century of business"? We must be doing something right! Scott Murchie has been painting on the Sunshine Coast for over 10 Years. We are professionals who provide themselves on high quality work using the range of Taubmans premium paints for a long lasting finish on every job. From larger high-end home work to smaller re-paints, we take care of it all. We can assure you that your property will be treated with the utmost respect and our services will be delivered in a friendly, polite and courteous manner. If painting your walls or installing wallpaper aren’t your favourite jobs, it’s very well worth considering hiring a professional for it. Not just for the obvious time-saving, but there’s actually more to a good paint or wallpaper job that you might think! Whether you’re looking to paint your bedroom or living room, you’re always starting from the all-encompassing question of which colour to paint your walls or which wallpaper to choose. The next challenge is selecting the best product for your needs. And don’t even mention the work involved in preparing the wall and applying the paint so it lasts. If you’re looking for a professional house painter or wallpaper installer in Sunshine Coast, Queensland you’ve come to the right place. You’re sure to find the best painter for your job in the Houzz professional directory. Here on Houzz, you’ll also find Sunshine Coast, Queensland professionals who can create a more creative wall design for your home, including wall murals or custom wallpaper. Murals drawn by an artist will often require a large space, but it’s worth investigating if you’d like a one-off feature wall every visitor will remember. If you’re after advice rather than application, here you’ll also find colour specialists that can help you in your quest for choosing the right paint colours or wallpapers for your abode. Scroll through this page to find painters and wallpaper installers in Sunshine Coast, Queensland. You can browse their latest projects, read reviews to see how other homeowners rate their work, and message them directly.